Actress Park Shin Hye will appear in a movie shot entirely on a smart phone, a fellow actor Ryu Deok Hwan’s directorial debut. The actress joins Ryu Deok Hwan’s “Waiting for Jang Joon Hwan,” an entry to the 2nd Olleh Smart Phone Film Festival. 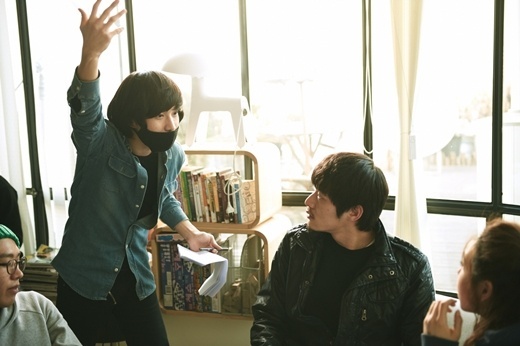 “Waiting for Jang Joon Hwan,” Ryu Deok Hwan’s first attempt at directing, revolves around real-life director Jang Joon Hwan, who did “Save the Green Planet.” Along with Park Shin Hye, Ryu Deok Hwan has also enlisted the special appearance of actor Oh Jung Se. Local news agencies report that Ryu Deok Hwan’s experience in acting has helped him take the helm of the movie and its set in a relaxed way. “It was a little amusing to think that smart phones can replace cameras in making movies,” he said. Meanwhile, Ryu Deok Hwan’s “Waiting for Jang Joon Hwan” with special appearances by Park Shin Hye and Oh Jung Se, will be screened at the opening of the Olleh Smart Phone Film Festival on March 19.